It is not easy to export or extract all images from a word document. Of course, you can try to export all images from a document by saving the document as a web page, but you cannot export or extract all images with specified image type, such as to export all images from a document to Png, Jpeg or Gif. With Kutool for Word’s Export Images utility, you can quickly export or extract all images from a document with specified image type. 1. Open the document that you want to export all images from it, and then apply the utility by clicking Kutools Plus > Export / Import > Export Images. A: Please specify a folder to save all images. B: Please choose the image type you want to use, such as Png, Jpeg, Gif and so on. 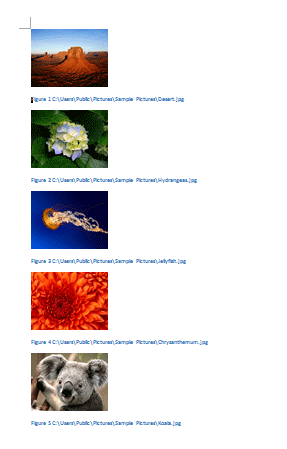 C: You can create an index html to manage all images.